Springfield Community Association, in Forest Hall, which has secured additional funding thanks to help from VODA. 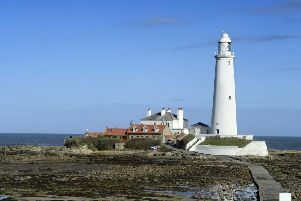 Charitable organisations in North Tyneside are being offered the chance to meet top funders. VODA’s annual Funding Fair will take place on Wednesday, April 3, at the Linskill Centre, North Shields, from 1pm to 5pm. The free event will give charities, community groups and voluntary organisations the chance to make up to four 15 minute appointments with funders to discuss their projects and needs and to get advice. Funders in attendance will be BBC Children in Need, Banks Community Fund, Karbon Homes, RW Mann Trust, Hadrian Trust, Tyne & Wear Sport, Tyne & Wear Community Foundation, Sir James Knott Trust, The Joicey Trust and The Rothley Trust. Frank Gillender, VODA’s funding adviser, said: “Whether groups are looking for £500 for new equipment or several thousands to set a new project up, this event is a great way to get face-to-face with the people who can help. One group successful in securing funding is Springfield Community Association in Forest Hall. With VODA’s help, it secured £86,000 from four funders to develop the centre into a community hub with better facilities, including a community café. It gives people with learning difficulties practical work experience.